I was super grateful to have the opportunity to sample a delightful (and delicious! ) new product line called KAIKE! 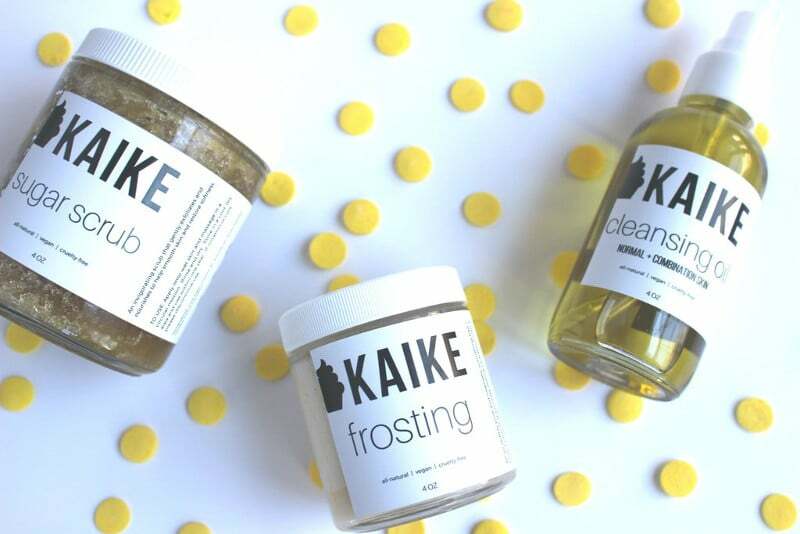 Kaike (pronounced cake) is an all-natural + vegan beauty brand with a focus on good.clean.fun. Their mission: making products that are GOOD for your body and the environment, in using only CLEAN all-natural + vegan ingredients, and in finding every opportunity to have a little FUN celebrating our natural beauty! 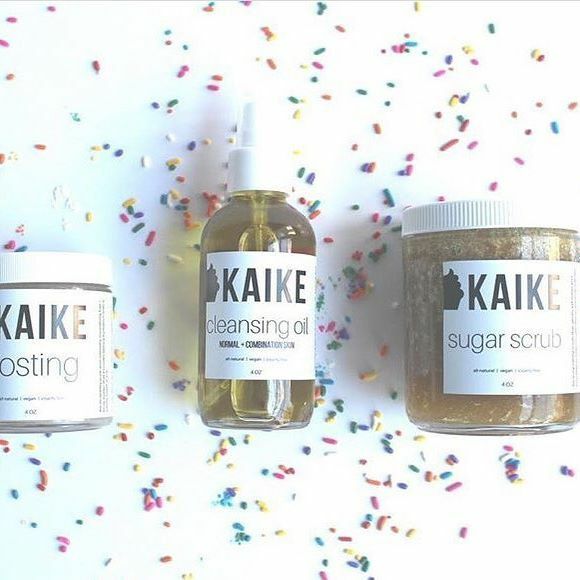 Founded by a fabulous SHE-roe, Keli Smith, Kaike is Handcrafted in small batches in the northern suburbs of Chicago, our first and best-selling product, Frosting, is a multi-purpose product for use on hair, skin, and lips that smells and feels just like, you guessed it, frosting. First off – the packaging was LIT! The products arrived in a medium sized USPS box and as soon as I cut it open, I was delighted to see it was filled with pink confetti! Very fun and cute touch  As I examined each product to learn more about its use, I couldn’t help but open each bottle and inhale the sweet, sugary aroma of each concoction. I felt tempted to taste it! 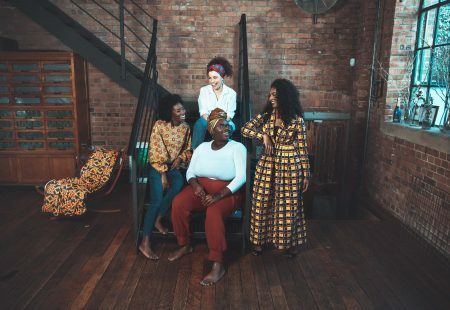 Kaike is a wonderful beauty product line that everyone can bite into. It is especially effective on sensitive skin types due to its all-natural blends. The products I sampled included Frosting, Cleansing Oil and my favorite, the Sugar Scrub! The Cleansing Oil is a great makeup remover and facial cleaner to nourish and sanitize your skin. It will leave your face feeling flawless! Frosting is a mango butter and coconut oil mixture (YUM!) which can be applied to your skin AND hair for a sweet scent and antioxidant properties. Last but not least, the Sugar Scrub is made from organic cane sugar, coconut oil and avocado which buffs away dry skin – leaving your body supple and soft  Each product blended well with my overly sensitive skin, and left it feeling extra smooth and smelling scrumptious!